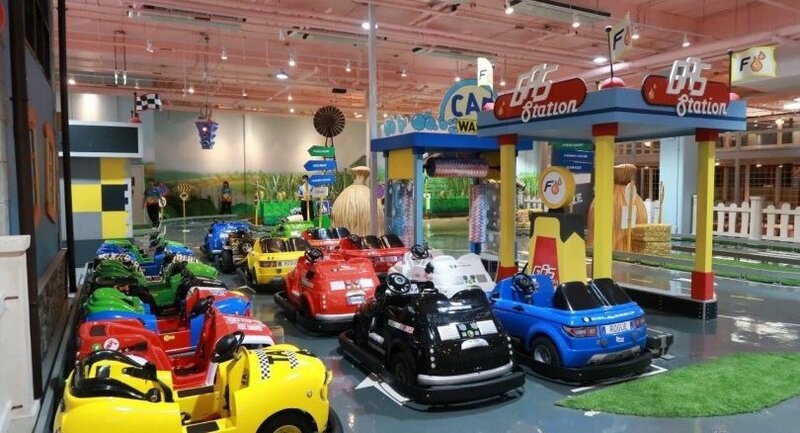 The 8,500-square-metre playground will also serve as Thailand’s first driving school for children. The playground, believed to be the largest in Bangkok, targets families in the east of the capital and tourists on family vacations who need somewhere safe to take their children to. Panjaphathara said that apart from being the largest playground in Bangkok, Mega Harbor Land is also among the five largest indoor playgrounds in the world. What makes this playground unique is its 1,000sqm Motor City, where youngsters can try their hand at driving and learn traffic rules. The aim is for them to grow up to become good motorists in the future, Panjaphathara said. Some rides are also designed to take the weight of adults, so parents can enjoy rides with their children. Mega Harbor Land is expected to have more than 100,000 visitors in the first quarter of this year. “We want to help children develop a good mentality through a pleasurable experience. We also want parents to take a break and enjoy themselves with their children. With this in mind, we developed activities that families can even apply outside the playground,” Panjaphathara said. Meanwhile, Paphitchaya Suwandee, Megabangna’s chief executive officer, said the shopping centre’s aim is to offer visitors more than just shopping, and is expanding its edutainment zone to offer different experiences to people. Mega Harbor Land, the CEO said, will serve as a powerful magnet for families in Bang Na and nearby areas and is expected to considerably increase the number of visitors to the shopping complex. Apart from the playground in Megabangna, HBL Group has also built Harbor Land Pattaya, Harbor Land Tukcom Udon Thani, Harbor Land Tukcom Chon Buri, Harbor Land Tukcom Sri Racha, Harbor Land Fashion Island and Harbor Land Gateway Bang Sue. Nice if they had mentioned age group and entrance fees. Different areas have different prices. I took my boys last week to the Harbour Land part, big adventure playground, it was great. Kids are 440 Baht each, adults 160 Baht, 60 Baht for socks. You get 4 hours in there for this price. Lots of staff inside, you can even pay 200 Baht for them to look after your kids while you go shopping. Adults can get involved with their kids in there also. The other floors have the trampoline, cars etc, we didn't try them yet. first driving school for children. Now if they could open a driving school for adults, preferably one on each street corner, that would be progress. I wonder if they will be issued a driver's licence after school? ?